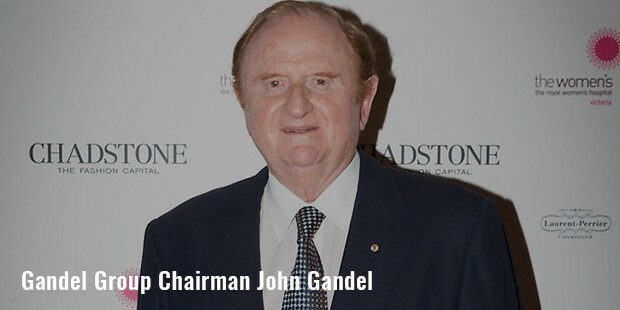 John Gandel is an Australian property developer and businessman, who is worth the US $ 3.6 billion as of now. His fortune comes primarily from developing real estate on a commercial basis, especially shopping malls. Many of his shopping centers are located in the city of Melbourne, Victoria. Son of a Polish immigrant couple, Gandel inherited a large part of his wealth from his family business, Sussan. It is a chain of women’s clothing still operational in Australia. 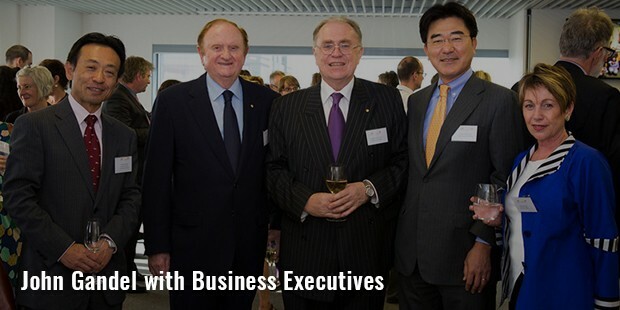 Both Forbes magazine and BRW have ranked John Gandel among top 10 richest persons in Australia. Gandel’s parents ran the Sussan women’s clothing business, which he took control over in the 1950s. John then partnered with Marc Besen, his brother in law, with whom he grew the chain and expanded it to more than 200 stores. 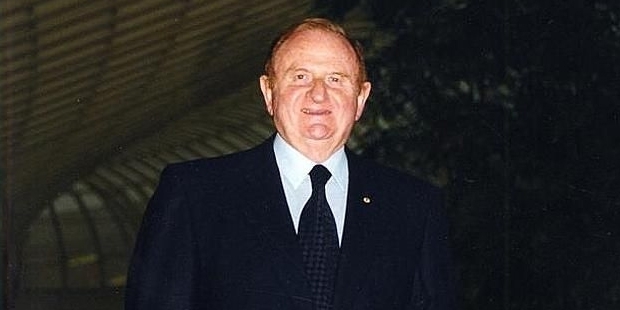 In 1983, he sold Sussan to Besen, bought Chadstone Shopping Center for A$ 37 million, and started concentrating on his real estate business. Subsequently, Gandel added several shopping centers to his business empire. Chadstone is now one of the biggest shopping malls in Australia, valuing to more than $3 billion. In 1983, Gandel Group also purchased the Northland shopping center from Myer Emporium. Gandel today owns 50% shares of Chadstone and 17% in Novion which is the owner of the other half. Gandel’s stakes in other listed property businesses are worth A$ 800 million, along with 15% stake in Charter Hall, a property group in Sydney in which he spent more than A$150 million. 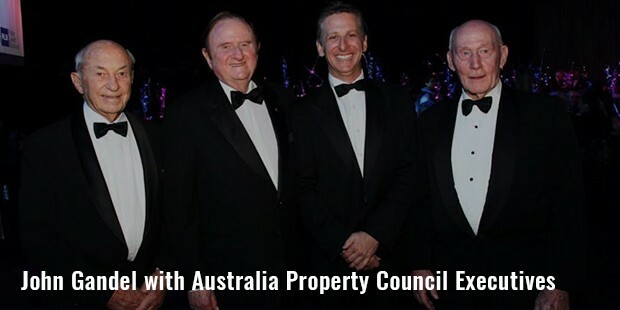 In 2012, he sold his Northland shopping center’s stake for A$455 million and announced office and hotel redevelopment of Chadstone worth A$500 million. Recognizing his contribution towards Australian community, commerce and business sector, Gandel was chosen as the Officer of Order in Australia in 1990. 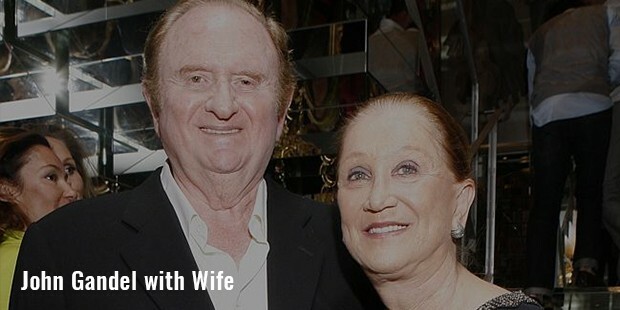 His philanthropy is focused on medical causes, arts, education and Judaism. He made a donation of A$7.5 million to National Gallery of Australia in the year 2010. His own house was burnt down by fire, remembering which Gandel financed A$1 million for fighting Victoria’s devastating bushfires. In 2006, Tel Aviv University awarded him the doctorate of philosophy, which is the university’s biggest honor as of now. Under Chadstone, Gandel owns over 500 retail stores in the eastern part of Melbourne. He also has plans to make an office tower and a hotel, after which the company will expand by as much as 20%. He gives credit of his success to the leisurely shopping activities of people and deregulated shopping hours. Gandel owned a 56-meter luxury yacht, which was sold in 2013 for $29 million. His mansion, Toorak, is situated in a posh suburb of Melbourne, which is one of the most valuable properties in the city. He, along with his wife, are passionate about collecting Japanese art. Gandel also donates significantly to arts, Jewish education, and healthcare.